With funding from the US Department of the Interior, Shell Oil and the American Petroleum Institute, and input from NOAA, USCG and industry personnel, Genwest developed the ROC as a stand-alone web-browser-based tool for oil spill responders and planners. The ROC provides performance estimates of oil spill response systems for the three major oil spill countermeasures – mechanical recovery using skimmers, dispersant application, and in-situ burning. 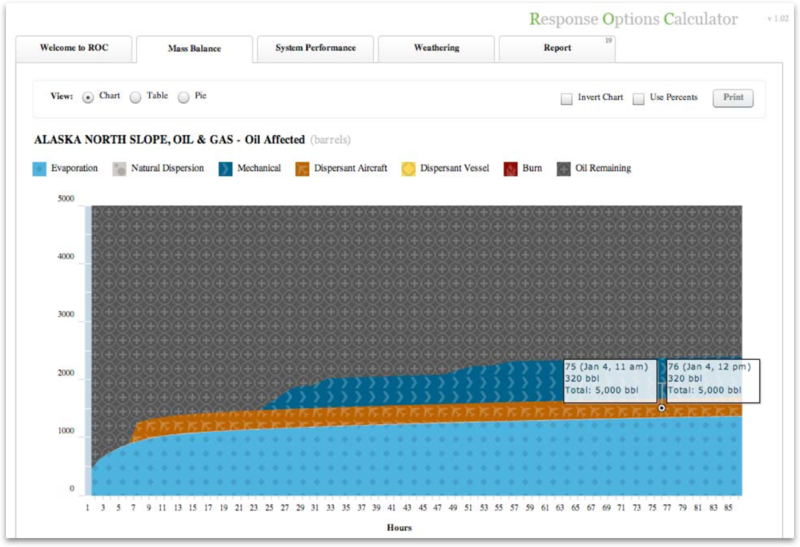 ROC incorporates dynamic oil weathering algorithms that provide time-dependent oil concentrations and oil conditions to be addressed by the assigned response systems.